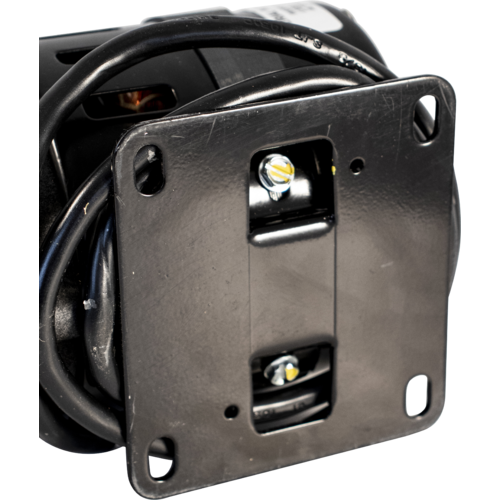 $674.99 & FREE Shipping on orders over $59. Specifically designed for the professional “Nano” brewery. 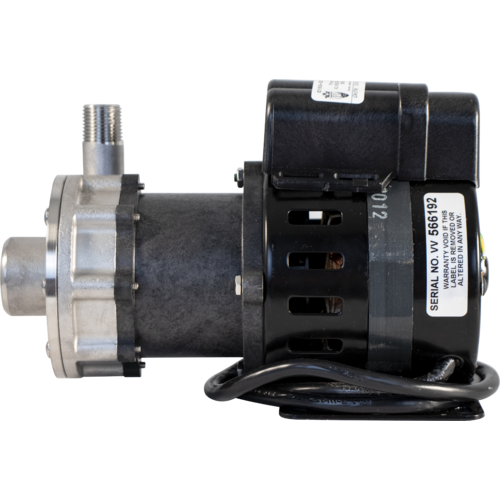 The reliable Nano Brewery Pump by March is designed for the small commercial brewery, where the H315 series is too small but you don't need an expensive, large-scale brewery pump. 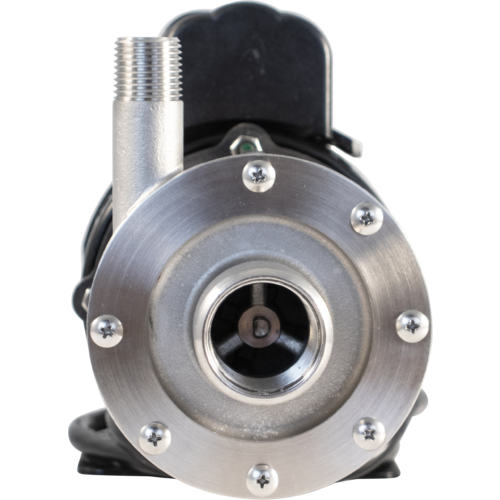 Featuring a robust flow rate of 17 GPM and a magnetic drive which allows you to throttle back flow without damaging the motor. 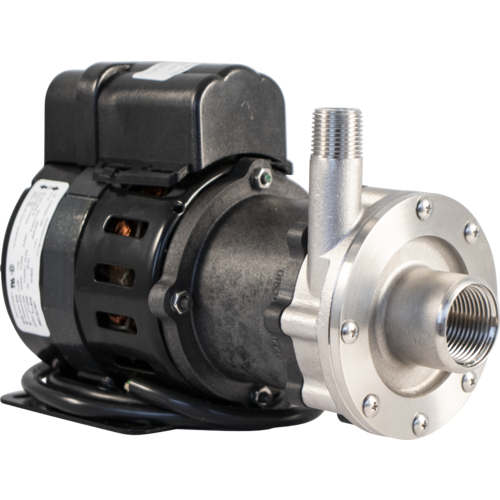 The Nano Pump employs food-grade materials anywhere it comes in contact with your beer. 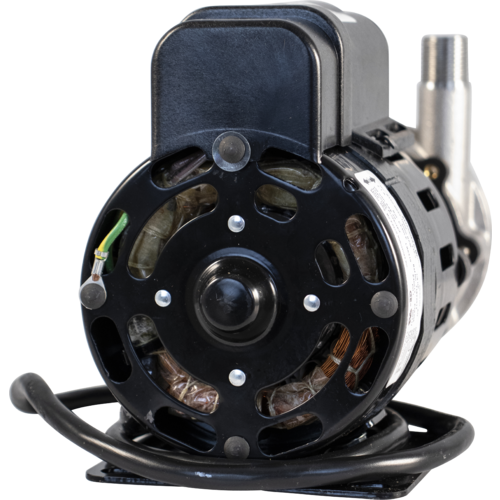 Please Note: This pump must be taken apart and cleaned after every use to prevent the impeller from seizing. To do so, take the bolts out of the pump head, remove the pump head from the pump, then take the impeller shaft and actual impeller apart. Clean well, and reassemble. 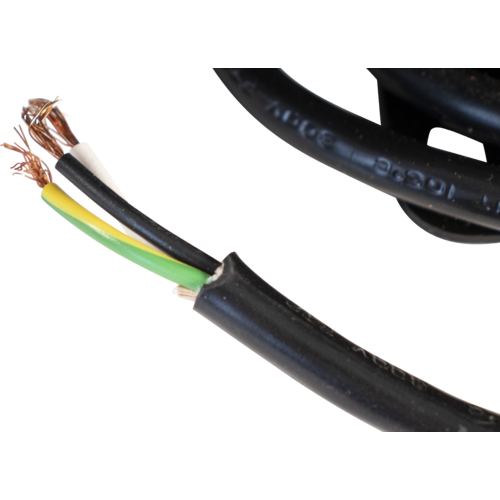 Electrical Connection: 115V 50/60HZ. Please note that the pump comes with a three foot cord WITHOUT a plug attached. I've been using this pump for about a year on my 1 bbl system. If it gets even the slightest air bubble it squeals like a pig being murdered, and stops working. I don't think this pump would do anything a little chugger pump couldn't do better. Save your money, don't buy March. Its not getting enough liquid. You have to have a 1" hose on the inlet side to work properly. 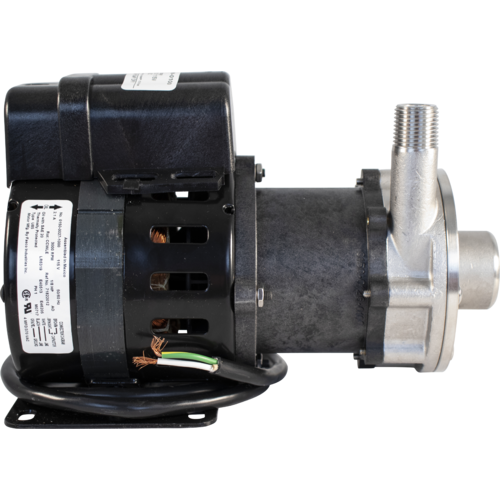 I use this pump for my 1 bbl system and it is awesome!